A jewel piece for the dining room. 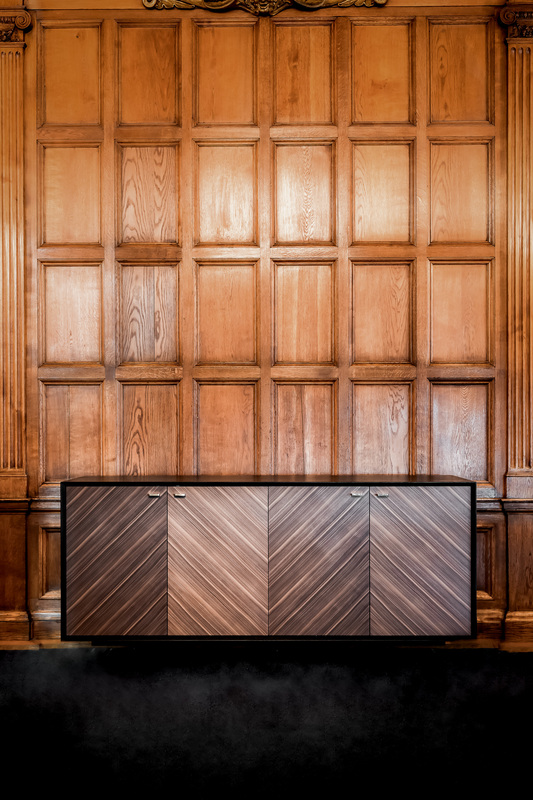 With smart storage our Cedar cabinet features a mix of warm walnut veneer, black veneer and elegant brass handles. All this resting on a discrete black steel base. The cabinet has automatic light when opening the doors, everything to create an extra luxurious feel. 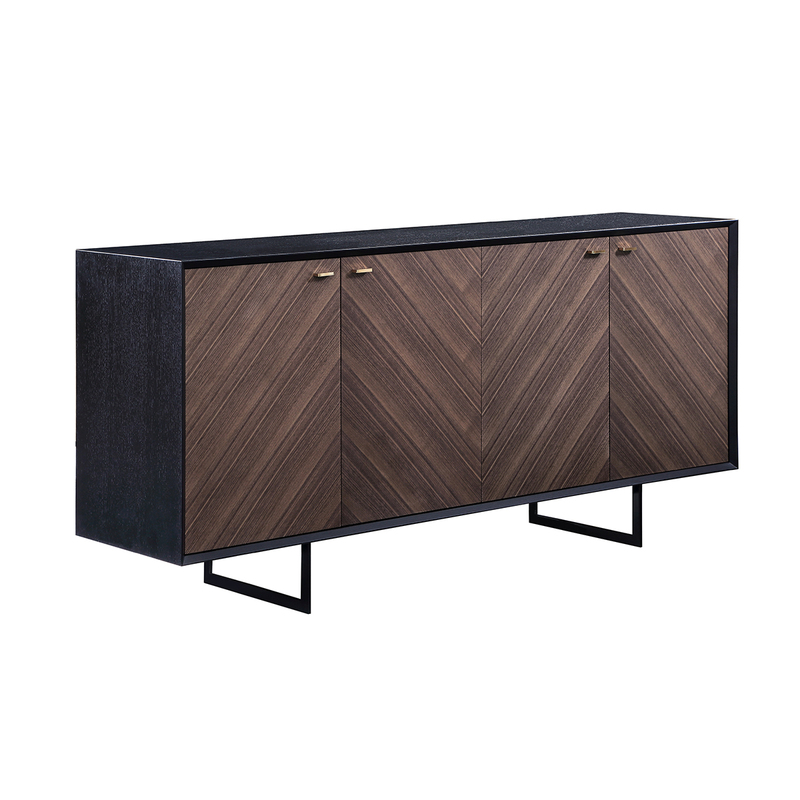 Pair it with our cabinet and coffee table from the same collection.